Can Saudi Arabia Survive Economic 'Shock Therapy'? BEIRUT – Saudi Arabia has long relied on oil to fuel its economic growth and development. Last year, oil accounted for about three-quarters of the Kingdom’s total export revenues and around 90% of government revenue. But the recent collapse in oil prices highlighted what should long have been clear: Saudi Arabia, like the other oil and gas rich nations of the Middle East, needs a more diverse development model. Since oil prices began to drop in mid-2014, Saudi Arabia has experienced a sharp decline in GDP growth, as well as lower liquidity and credit growth. Fiscal and current-account surpluses were transformed into deficits. This year, the two deficits are expected to reach 13% and 6.4% of GDP, respectively. Moreover, despite past growth, the Kingdom’s real national wealth has declined. Oil revenues, as is the case elsewhere in the region, were not efficiently transformed into human capital, infrastructure, and the innovative capacity needed to generate productivity growth and diversify economic activity. So, beyond adjusting to the “new normal” in oil prices, Saudi Arabia must design a radically new economic model that addresses structural impediments to productivity and growth. It is a tall order, one that most governments would pursue gradually. But Deputy Crown Prince Mohammad bin Salman’s National Transformation Program (NTP), announced last June, suggests that Saudi Arabia will take the opposite approach, subjecting the economy to a kind of shock therapy. In a 110-page list of policies and targets for ministries and governmental bodies to pursue in 2016-2020, the NTP identifies 543 specific reforms, with a price tag of SAR270 billion ($72 billion), excluding adjustment costs by the private sector. And, in fact, the crux of the proposed reforms is to expand the private sector’s role in the state-dominated economy, thereby creating more employment in higher-productivity areas. Financing the reforms – not to mention a massive $2 trillion public investment fund to support a post-oil economy – will require improved efficiency, rapid privatization, effective public-private partnerships, broad-based taxation (including a value-added tax of 5%, to be introduced in 2018), and spending cuts on existing infrastructure projects. All of this will need to be achieved efficiently, in order to facilitate the government’s other key goal: a balanced budget by 2020. The specific policy targets are tremendously ambitious. Saudi leaders will first partly privatize the Saudi Arabian Oil Company (Aramco), and establish the investment fund. They will also gradually reduce energy subsidies, in order to promote a shift away from energy-intensive activities. The plan includes specific targets to increase the contributions of real estate, information technology, services, tourism, and the defense and pharmaceutical industries to GDP. 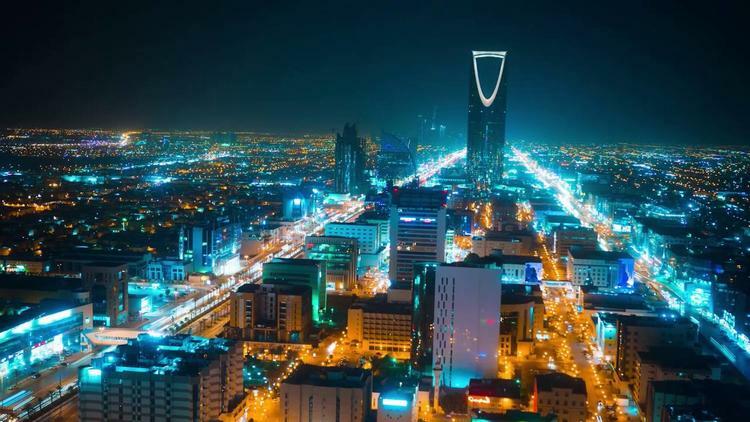 If the NTP is to deliver greater economic diversification, Saudi Arabia will need to harness high value-added, export-led growth and, eventually, greater regional and international integration. The program lays the necessary groundwork with plans to reform education to promote innovation and meet the needs of a changing labor market. Specifically, the NTP includes plans to achieve a 15% increase in mathematics and English-language attainment levels within five years, to be followed by an increasing focus on “STEM” subjects (science, technology, engineering, and mathematics). The NTP also aims to increase female labor-force participation, from 22% today to 28% by 2020. That, together with improved support and opportunities for the fast-growing population of young people, should reduce the unemployment rate from 11.6% to 9% in the next five years. From subsidy cuts to a lower public-sector wage bill, the NTP reforms effectively represent a new social contract for the Kingdom. The plan is thus a kind of “long march,” requiring effective public-private cooperation, broad public buy-in, and an explicit communication strategy to implement deep economic restructuring supported by fiscal and other macro-policy reforms. There is some precedent for this strategy: the oil-rich countries of Norway, Malaysia, Indonesia, and Mexico have all diversified their economies. But the external context in which those countries reformed – characterized by surging globalization and rapid growth – was very different from that prevailing today. And the transformations still took up to 20 years. The implementation of the NTP, by contrast, will be a race against time and a fight against the external headwinds of low oil prices, a weaker global economy, and retreat from globalization. Moreover, short-term domestic growth is likely to be stifled by policy uncertainty, fiscal consolidation, the immediate impact of reforms, and the needed reversal of the country’s monetary- and fiscal-policy stances, from pro- to counter-cyclical. Nasser Saidi, former Chief Economist of the Dubai International Financial Center, is a former vice governor of the Bank of Lebanon and has served as Lebanon’s Minister of the Economy and Industry. He is the author, most recently, of the OECD report Corporate Governance in the MENA Countries.